Three babies. Three cakes. And one very special cake smash. 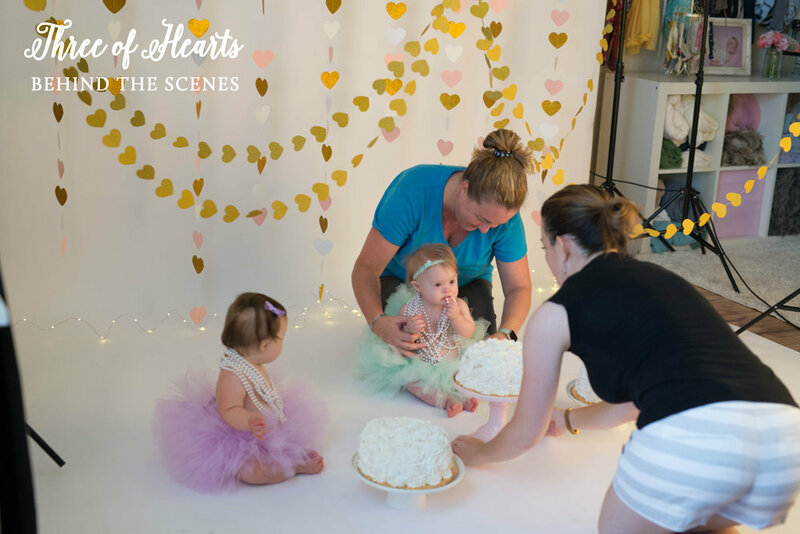 Enjoy a behind-the-scenes peek into our "Three of Hearts" cake smash with Mae, Harper, and Catherine. 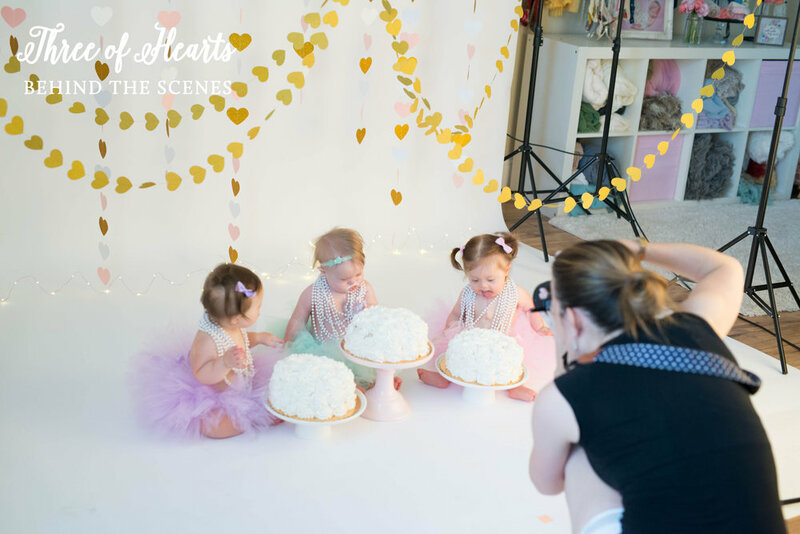 This was such an amazing session with three beautiful babies, that we couldn't help but share a peek into the making of their cake smash images! Check back later this week for the full cake smash gallery to see the stunning & hilarious moments that we captured together with the birthday girls! The full story will be coming to the blog later this week, but these three little girls all happened to celebrate their first birthdays three days in a row, and they all underwent lengthy hospital stays and surgeries due to heart complications when they were born in Boston last summer. These heart warriors pushed through and were all able to successfully breastfeed this year, too! 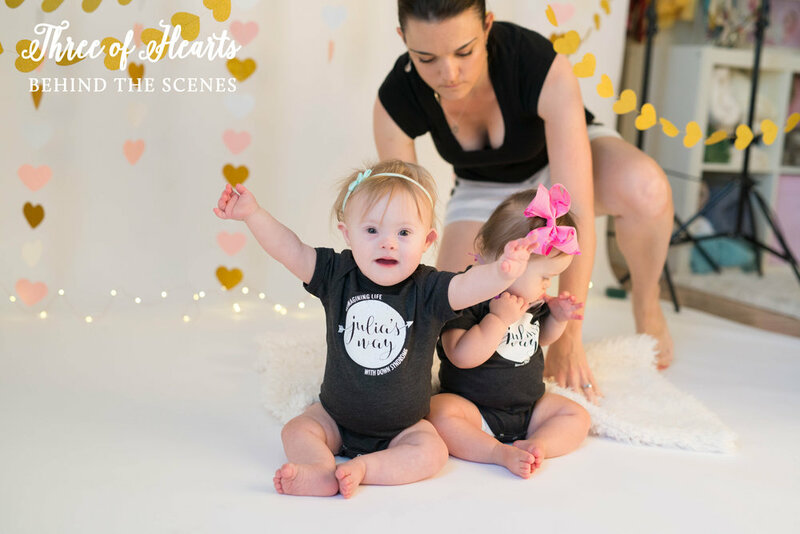 They also happen to have Down syndrome, and they met for the first time at our photoshoot with Julia's Way in June, just a few short days before they all turned one! Of course, these little heart warriors rocked their Julia's Way onesies before the cake smash got underway. Just look at how excited Harper is to show off her stylish onesie! 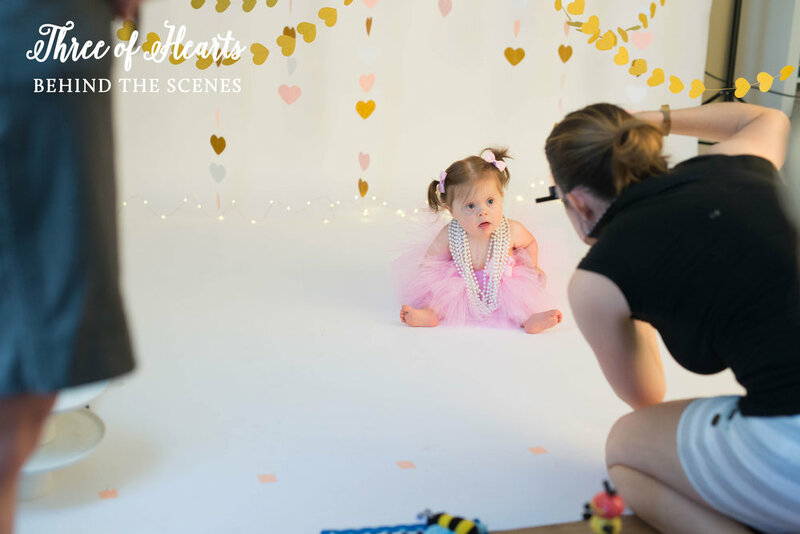 We had all three moms in the studio for this session, plus the founder of Julia's Way, Ella Cullen, with her little girl Julia Grace. A huge thank you to our behind-the-scenes photographer and my good friend Jamie of Koss Photography for capturing the event for us! 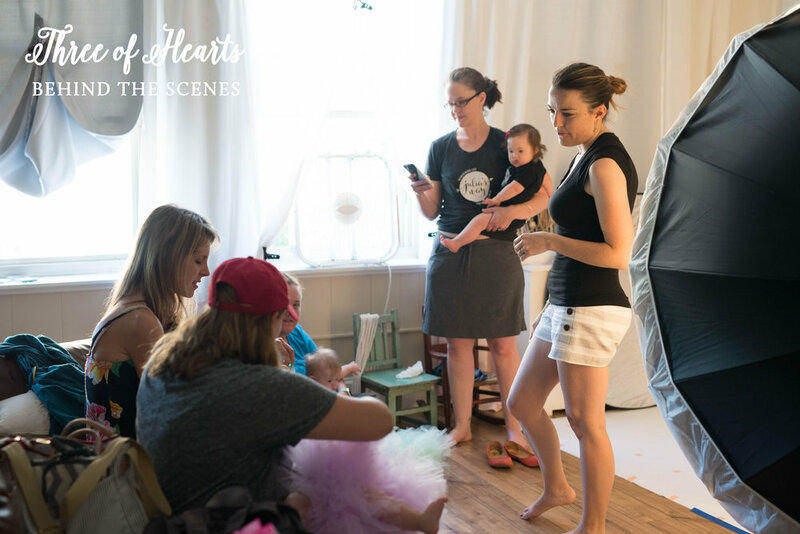 When designing a setup for these little heart warriors, of course we went with a heart theme! Catherine, Harper, and Mae rocked the most beautiful tutus and pearl necklaces that perfectly framed their heart scars on their chests. The girls all LOVED the camera, and they did such an amazing job during their session! I went in fully aware of the possibility of three meltdowns, but we didn't have any -- well, at least until the very end!! Their curiosity & sweet personalities all shone through, and it was such a joy to capture them individually and together on camera! So what happens when you put three cakes in front of three babies? Some babies love it, others hate it. Some are curious and cover their whole body in frosting -- Harper!! Others think about face planting into the cake and rock their body back and forth to get their mouth closer and closer to the cake -- Mae! And others are much more interested in playing with their pearls than actually getting any frosting on their fingers -- Cate! 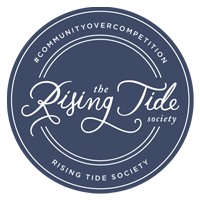 Follow us on social media to see the first sneak peeks later this week, and we will update this blog post with a link to the gallery post as soon as it goes live! Follow Julia's Way on Facebook!